A new landmark project will be coming up on the site of the former Eunosville privatised HUDC estate. Named Parc Esta, the 1,399-unit private condominium along Sims Avenue sits on a 377,000 sq ft site. Parc Esta is a development by MCL Land, an established Singapore property developer and a member of the Jardine Matheson Group under Hongkong Land Holdings. The developer is also behind top-selling projects such as J Gateway, Lake Grande, LakeVille and Sol Acres. One of Parc Esta’s main draws for homebuyers is its location, says Eugene Lim, key executive officer of ERA Realty. It is a three-minute walk from the Eunos MRT station and one MRT stop from Paya Lebar MRT station, an interchange for the East-West and Circle Lines. From Paya Lebar, it is six MRT stops to Raffles Place; six stops to Changi Airport and the upcoming, iconic Jewel mall; as well as six stops to Bayfront, the station leading to attractions such as Marina Bay Sands and Gardens by the Bay. The Paya Lebar interchange is the nexus of Paya Lebar Central, an up-and-coming cluster earmarked to be a commercial hub in URA’s 2008 Master Plan. It will include a mix of Grade-A offices, retail and F&B offerings as well as private residences. 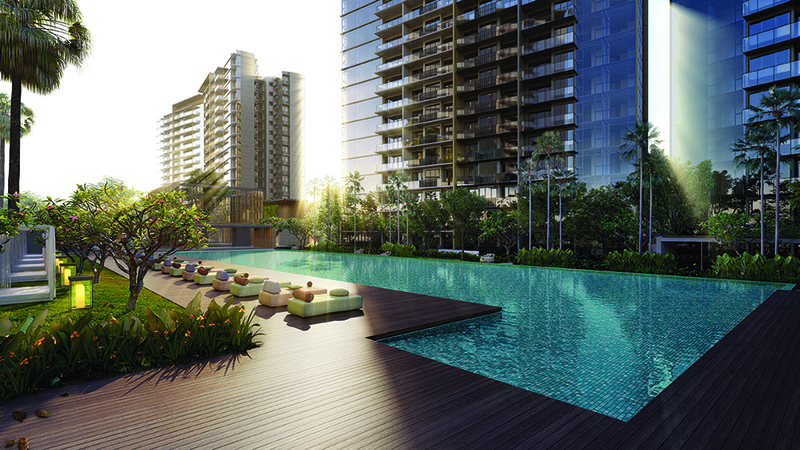 Future residents of Parc Esta will be able to enjoy the benefits of the project’s proximity to Paya Lebar Central, which is undergoing rapid rejuvenation. At the Paya Lebar Quarter integrated development, close to a million sq ft of Grade-A office space in three office towers has already been completed.